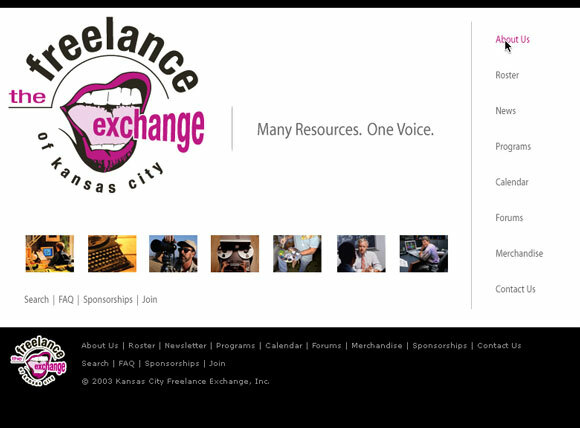 A custom PHP-based website for the Freelance Exchange of Kansas City. 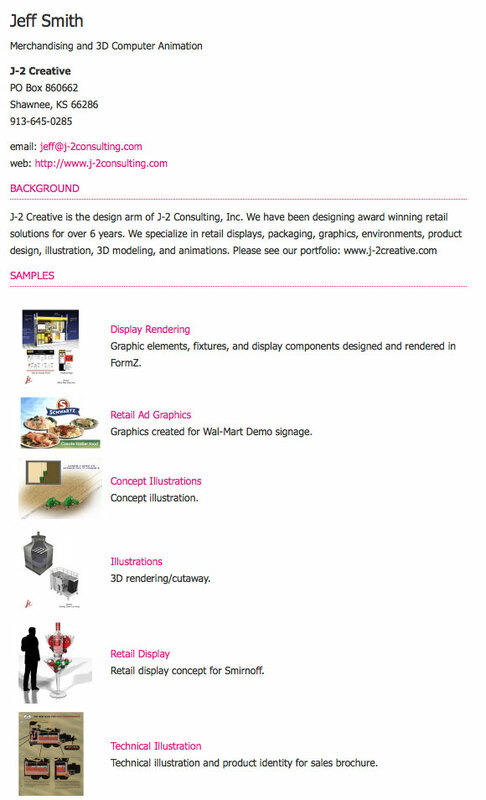 In addition to the design work and basic website execution, I also developed an online Portfolio management system that allows agencies and prospective clients to browse member portfolios from the website. Members can upload and manage their portfolio pieces using a members-only login area. Update: The main site has since been redesigned and rebuilt in WordPress. 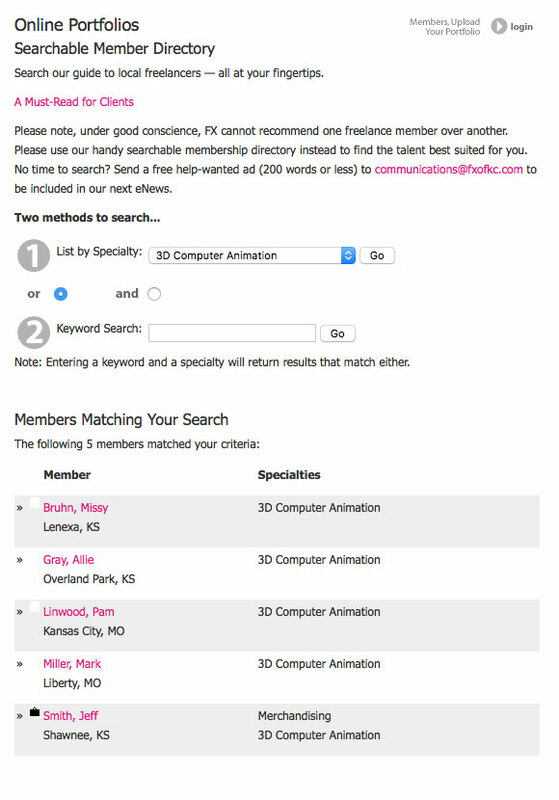 As of 2017, however, the member Portfolio search, uploading and management tools appear to be using the original PHP/MySQL system I built in 2004.